Budget hospitality chain OYO has acquired Mumbai-based Weddingz.in, an online marketplace for wedding venues and vendors, for an undisclosed sum, a company statement said. The acquisition will mark OYO’s entry into the fragmented $40-billion wedding industry and will complement the firm’s core offerings, Maninder Gulati, chief strategy officer at the hotel aggregator, said in the statement. “The company has a healthy scale of managing 1,500-plus wedding events per quarter, with an inventory size of over 40 banquets spread across Mumbai and Delhi,” Gulati added. The entire 200-member team of Weddingz.in will become part of OYO, a spokesperson for the budget hotel aggregator said. The deal was a mix of cash and stock, the person added. The acquisition of Weddingz.in marks OYO’s third such buyout this year. Last month, it had bought Mumbai-based Internet of Things (IoT) technology company AblePlus Solutions Pvt. Ltd to bolster its technology portfolio. In March, OYO had acquired its first company, Chennai-headquartered service apartment company Novascotia Boutique Homes. Operated by L-Fast Brands Pvt. Ltd, Weddingz.in was launched in January 2015 by Sandeep Lodha. Its technology platform allowed users to find and book wedding planning services at the best prices. It provided wedding venue recommendations and also connected users with wedding service providers such as photographers, makeup and mehendi artists and planners. It started its operations in Mumbai and is now present in more than 12 cities, including Delhi, Bengaluru and Goa. In January last year, VCCircle had reported it had raised nearly $1 million (Rs 6.8 crore) from Singularity Ventures. Existing investor consumer-centric venture fund Sixth Sense Ventures also participated in that round. In February 2016, the company had raised pre-Series A funding from Sixth Sense Ventures. In December 2015, it had raised $1 million in angel funding from a group of investors, including Google India's managing director Rajan Anandan, film-makers Zoya Akhtar, Reema Kagti and Ruchi Narain, fashion designer Ritu Kumar's son Amrish Kumar, and Ambit Private Wealth CEO Hrishikesh Parandekar. For OYO, the latest deal comes at a time when it has ventured into new overseas markets including China, where it has a 1,000-strong hotel strong chain. It had launched operations in the country in November 2017. Last month, online media publication Entrackr had reported that OYO had entered London. It had expanded into Malaysia in 2016 and Nepal in 2017. In India, OYO has a hotel chain comprising 100,000 exclusive rooms. Between January and June 2018, OYO’s India operations clocked 17 million booked rooms per night with new launches in cities like Kota, Mathura, Vrindavan, Kolhapur, Bareilly and Thekkady, the company claimed. Multiple media reports in recent times have stated that OYO, which counts SoftBank as one of its main investors, is in the process of raising between $300 million and $800 million, which would value the firm at $2 billion. However, TechCircle could not independently verify this. 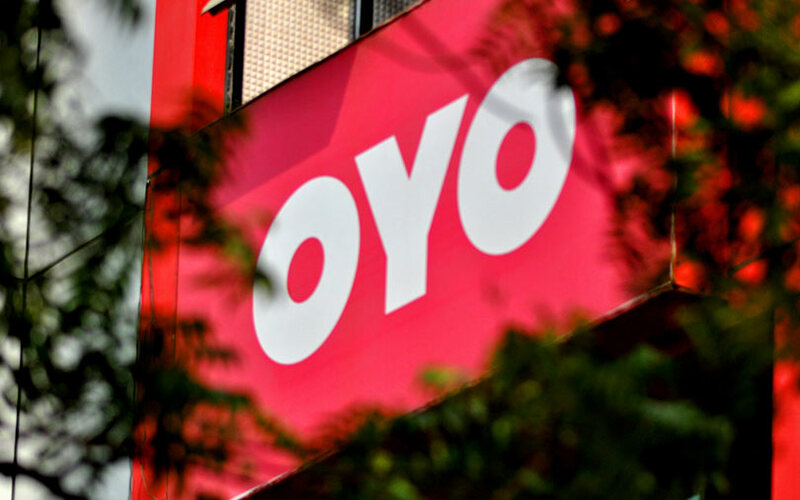 OYO last secured funds in April 2017, when it raised $250 million (Rs 1,612 crore) in a round led by existing investor SoftBank Group along with the participation of Lightspeed Venture Partners India, Sequoia Capital India and Greenoaks Capital. Media reports had pegged its valuation at $850 million then.